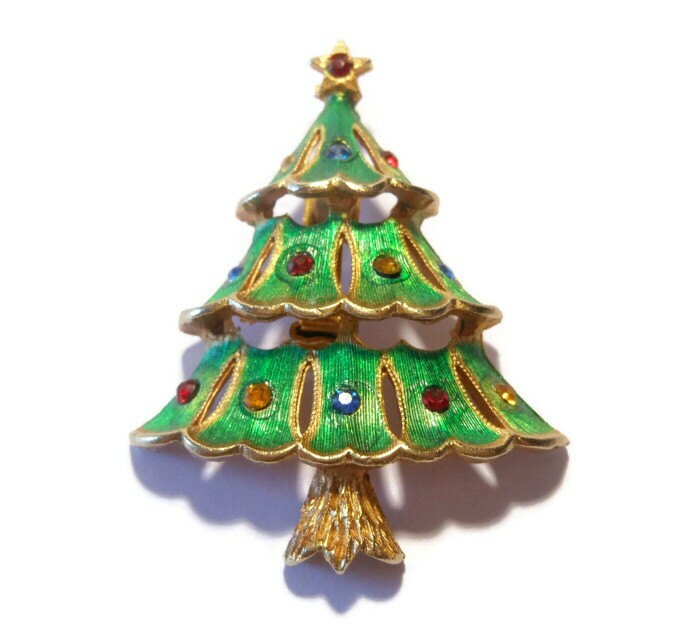 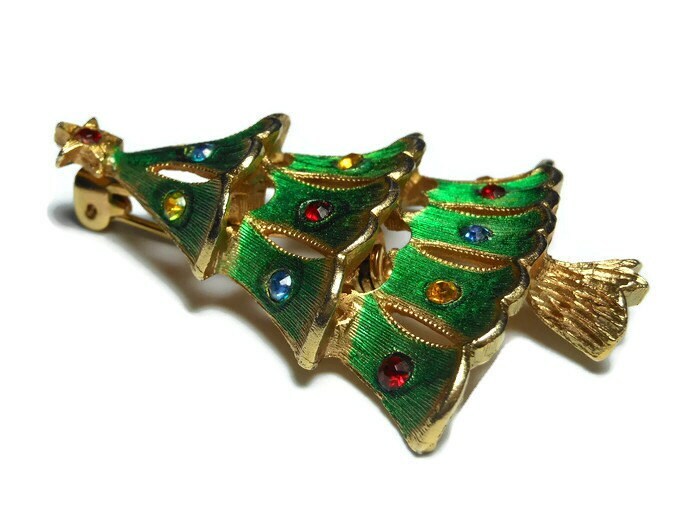 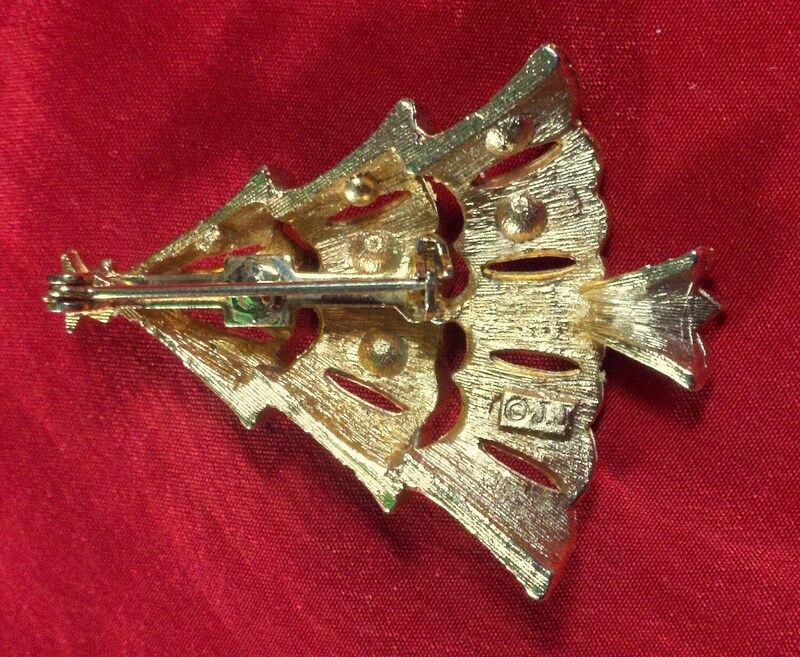 J.J. Christmas Tree Brooch, book piece, 1950 - 1960's green enamel over gold tone, rhinestone ornaments, star topper with rhinestone. 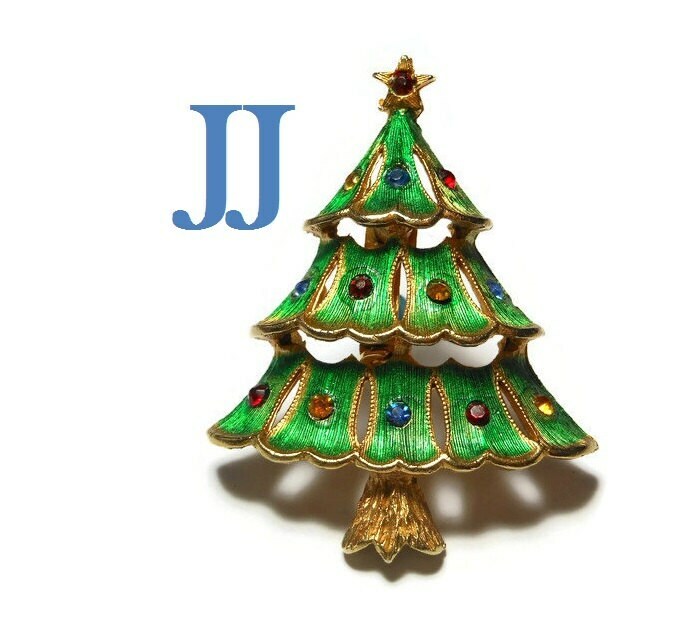 Classic Jonette Jewelry holiday brooch in gold tone with green enamel and decorated with rhinestones of red, blue, and topaz. 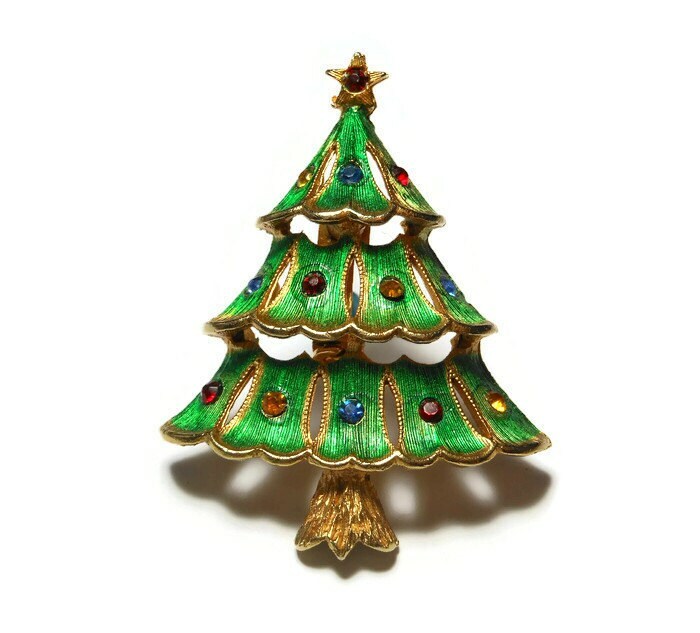 Rare in green form.